Named for the late-19th century hotel that originally occupied the site, St. 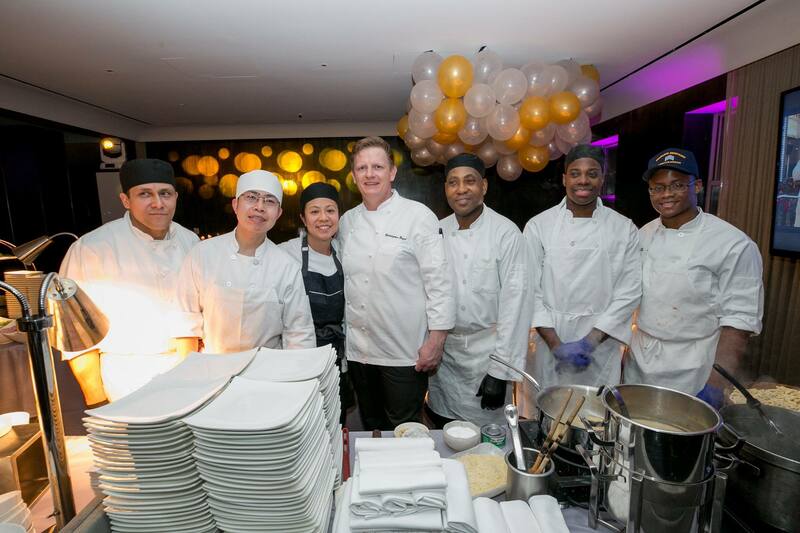 Cloud is the pinnacle of our luxury hotel Atop Times Square experience. With its three plush corner Sky Pods overlooking Times Square and lush living walls of greenery, St. 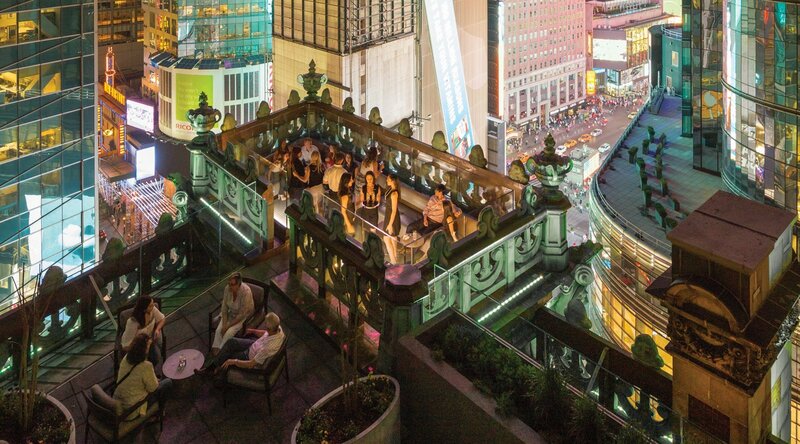 Cloud is the ultimate rooftop bar in NYC. 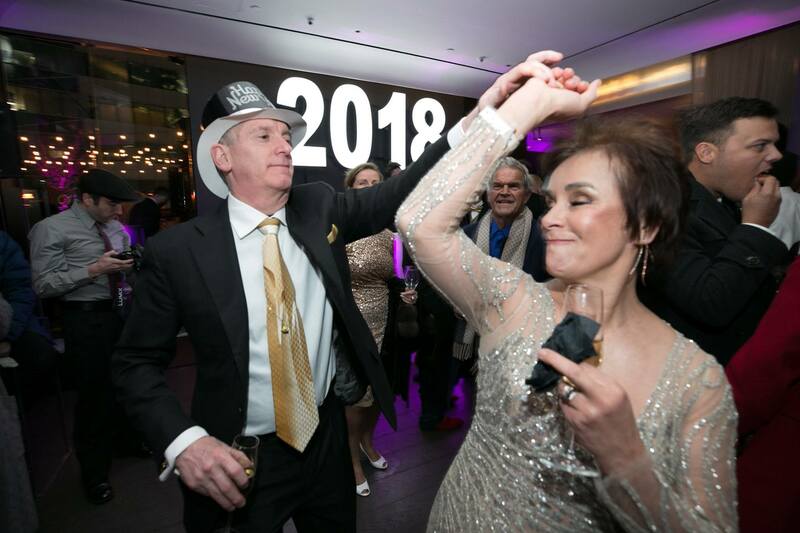 Patrons will enjoy exclusive group seating in a private “box seat” boasting spectacular views of the NYE festivities, famed ball drop up as close as 150 feet away, private bottle & butler service. VIP PARTY ACCESS + RESERVED Skybox Pod. 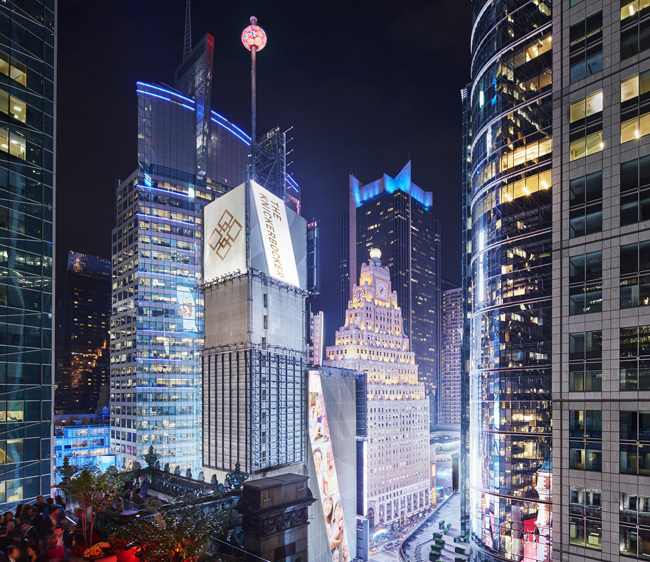 The iconic Knickerbocker Hotel is hosting the grandest New Year’s Eve party in Times Square this year at its penthouse hotspot, St. Cloud. 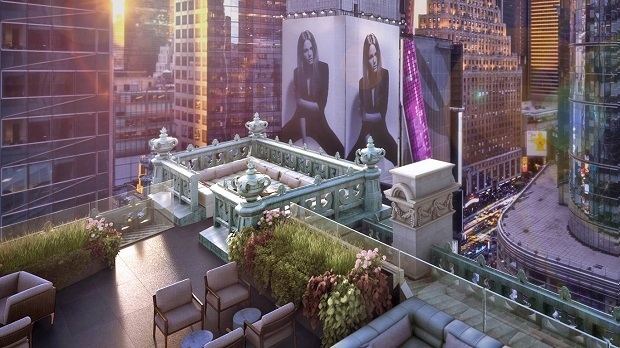 Atop the historic Beaux-Arts hotel this sky-high pad with both indoor and outdoor bars is only 125 feet away from the Times Square Waterford Crystal Ball. 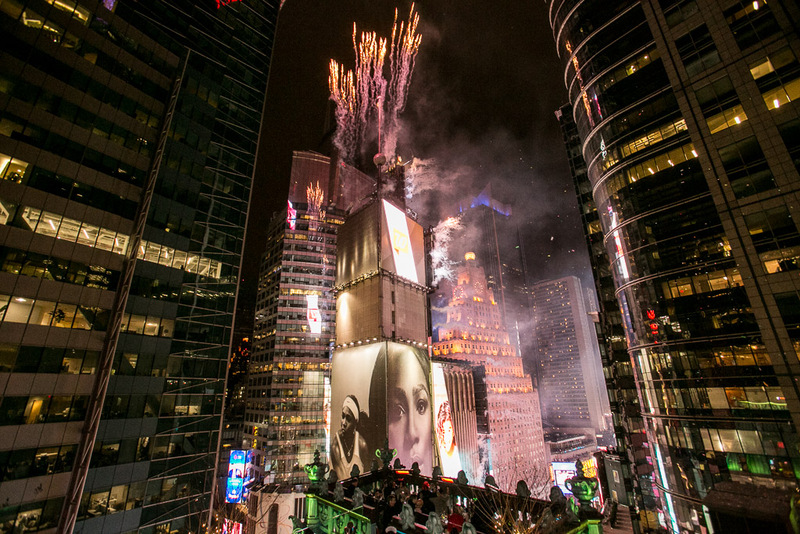 Watch the countdown happen in style, high above the rest this New Year’s Eve at Times Square’s most notable lounge. Named after the 19th century hotel that came before the vogue Knickerbocker, St. Cloud will flood with luxuries this New Year’s eve. Enjoy a cocktail outside with a view, or inside at the lavish Waterford Crystal lounge with a 35-foot black corian stone counter. 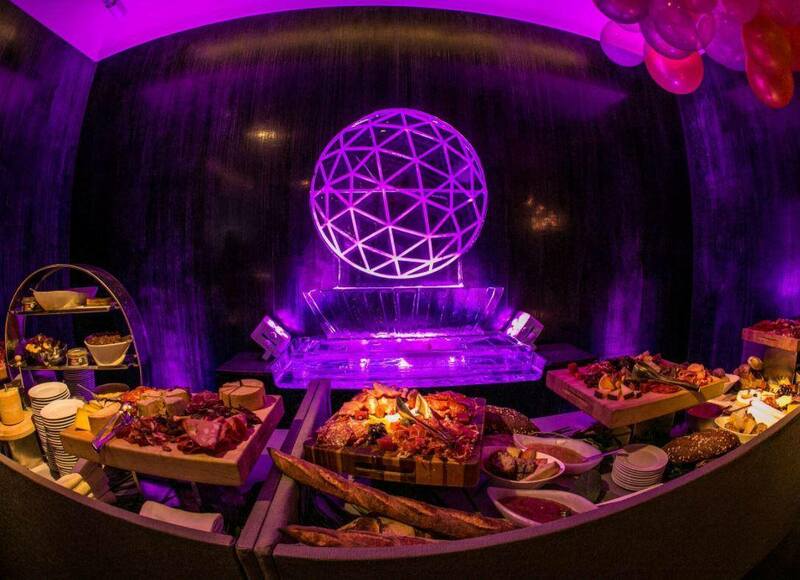 Take your time because you’ll have access to a four hour premium open bar. Renowned bellydancer, Sultana Taj, will give an exclusive performance while a live DJ spins the year’s best Top 40, house, and hip hop beats into electrifying mash-ups, mingle with New York City’s finest in this fortress of entertainment. 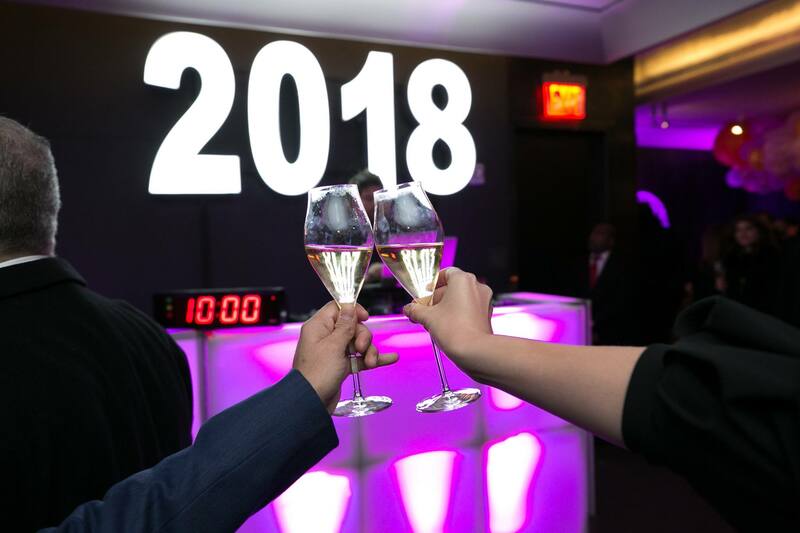 Complimentary champagne will be passed as Times Square lights up at midnight, but for a truly premier experience, pick up a VIP package for perks like reserved seating and bottle service. 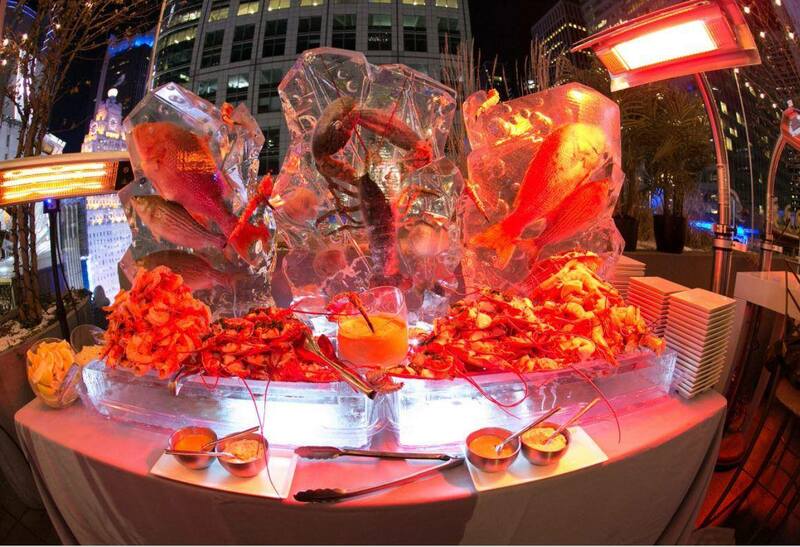 Guests of all ages are welcome to this event, but the open bar and champagne amenities are exclusive to guests 21 +. Walls doused in ivy and a glittering New York City skyline are the backdrop to your New Year’s Eve this year. The rooftop has a noble contemporary design, with restored 1906 flourishes that remind you of the hotel’s history. 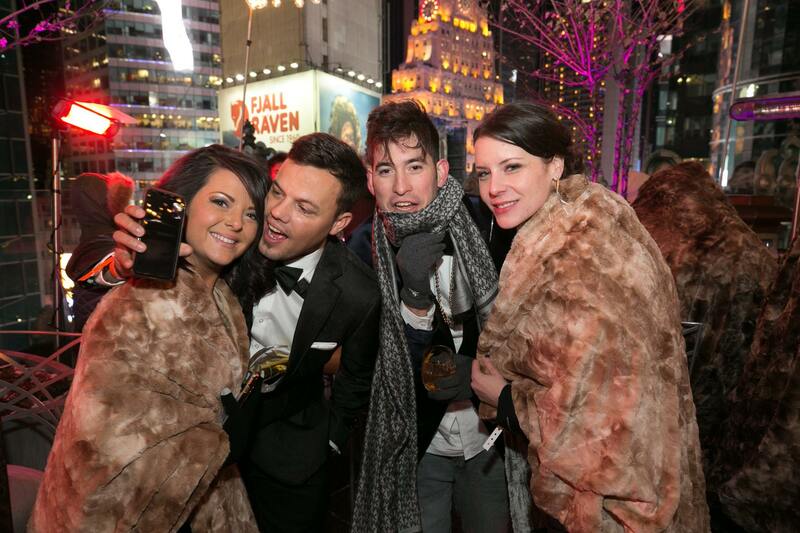 There’s no doubt the Times Square hotspot provides a leisurely getaway at the center of it all. 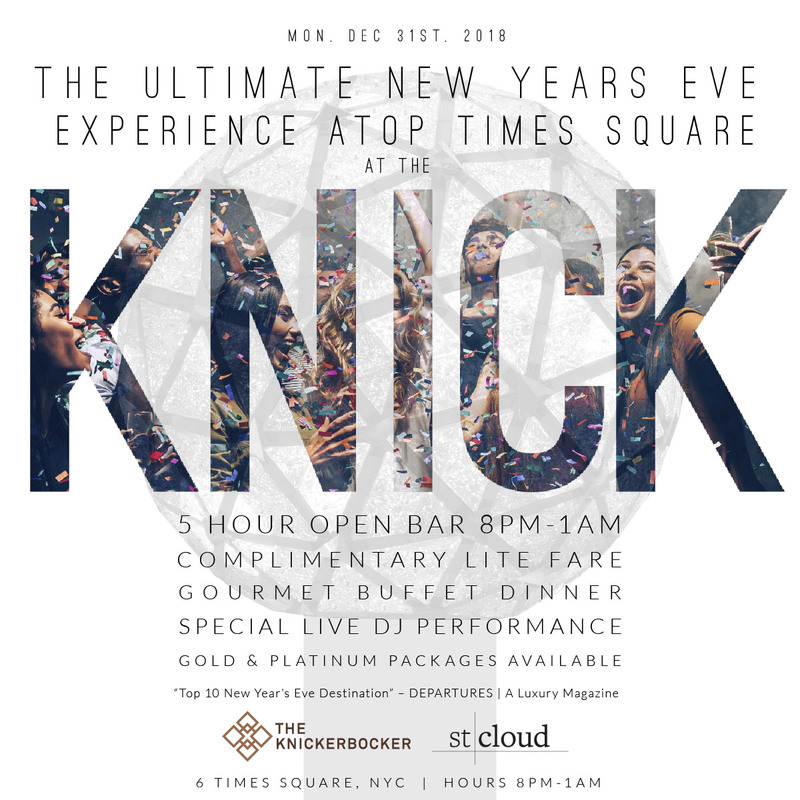 Float into a new beginning at the Knickerbocker Hotel this New Year’s Eve. If amenities, heart-pumping music, and a fantastic view are what you’re searching for, you’ve found it. Imagine your dreams for the new year and toast to their achievability at St. Cloud, New York. We have two live DJ's putting the four on the floor. 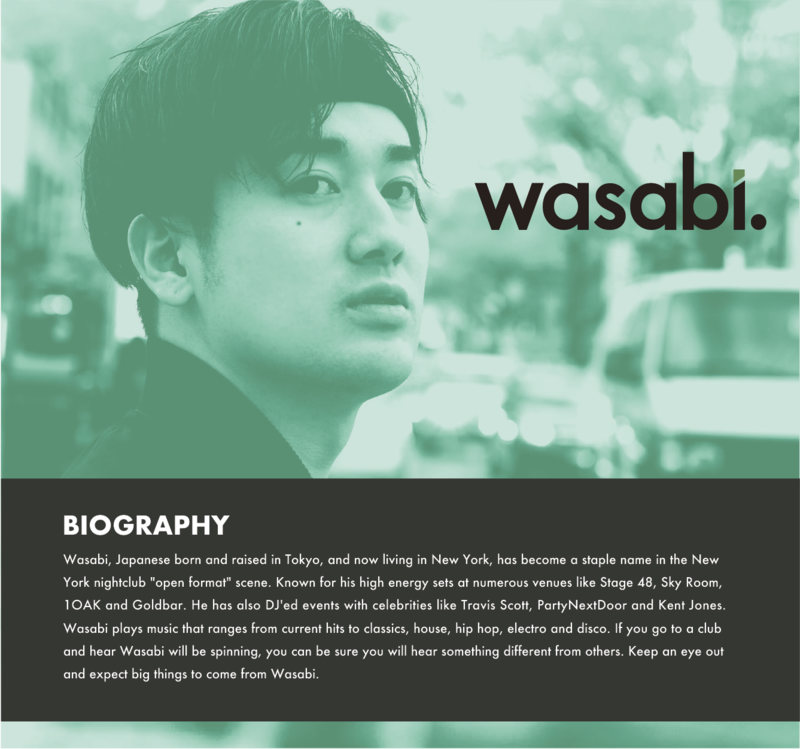 DJ Wasabi and DJ Dippa will be spinning tracks that will keep you moving all through the night and well into the next year. Emi Ueda was born in Japan and came to New York City to dance. Classically trained in ballet since the age of 4, she went to one of Japan’s most prestigious schools for the arts, Osaka University of Arts, where she majored in dance. The desire to enhance her dance studies led her to NYC in 2006, at which time she began to study modern, contemporary, and jazz dance, and became certified in Simonson Technique and Pilates. After some years performing with several modern dance companies, including Azul Dance Theatre, she began to study Samba and fell in love with the art. She embraced Samba wholeheartedly and began to study with the best Samba teachers. Her embrace of Samba went beyond the steps, to include costume design and construction - Emi makes all of her costumes by hand. Not long after she began studying Samba, she found herself being invited by her teachers to join them in performances. Today Emi is one of NYC’s most sought after and highly recommended Samba dance performers. She performs and tours all over the United States with several companies, including Casa Brazilia, and solo. Some of the highlights of her dance career to date include the official Cindy Lauper “Girls Just Want to Have Fun” video, Demi Lovato’s “Good Morning America” televised performance at New York City Summerstage, the NBC Universal “Up Front Rio 2016” performance at Radio City Music Hall, and Lincoln Center Summerstage. Nubia Quele Santos is a dancer/ choreographer, actress and philanthropist born in Minas Gerias, Brasil, raised in Sydney, Australia and living in New York City. She is a sought after Samba Instructor officially accredited by Carlinhos Salgueiro (Rio’s foremost and world famous Samba choreographer) to teach his signature technique. Nubia is also a Passista for one of Rio’s top Samba school’s Imperio Serrano and parades with the school’s official Ala das Passistas in Rio Carnaval. Nubia has choreographed in Australia and the USA. She has choreographed for the successful Off Broadway Show ‘Rio The Musical’ and the Off Broadway show ‘Futurology’. Nubia was the choreographer for Indeed’s first TV Commercial, as well as doing choreography for the prestigious Estee Lauder brand ‘Mac Cosmetics’.She is the founder and director of Casa Brazilia, a NYC based Brazilian entertainment company. Nubia’s expertise was vital in helping promote the Rio Olympics in the USA. She was the assistant choreographer and principle dancer for NBC Universal Rio Olympics launch event held at the prestigious Radio City Music Hall in New York City. Casa Brazilia was the officially dancers for Team USA on their Road to Rio and during the Olympics. Casa Brazilia worked with Olympic partners in support with United Stated Olympic Committee appearing on the Highest rated morning show ‘The Today Show’ multiple times to promote Brazil and Rio Olympics. 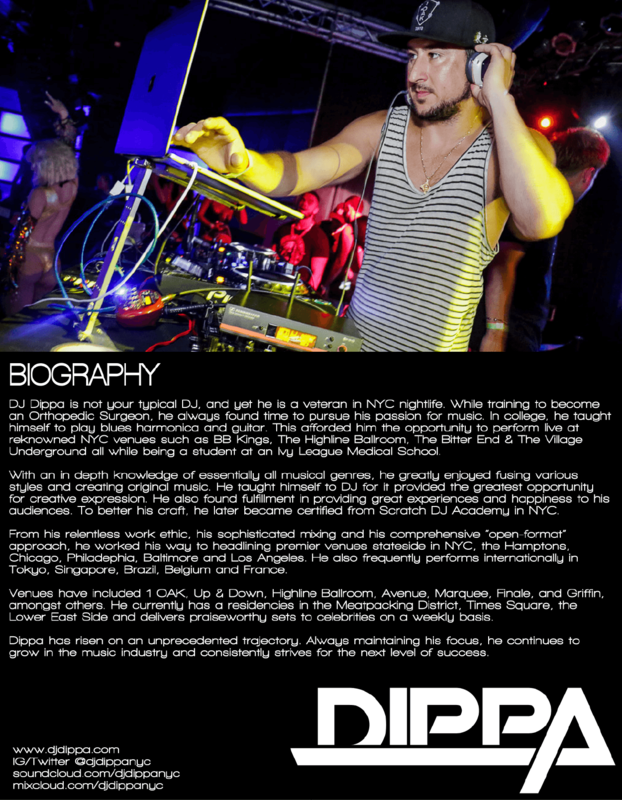 Your admission ticket includes entry to the event, the open bar service and music performance. Complimentary services are at the discretion of the venue.